In the spirit of the Scottish celebration of St. Andrew’s Day, Chef Scott Davies from The Three Chimneys, Chef James Dixon from Skeabost Country House Hotel and Calum Montgomery from Ullinish Country Lodge Hotel will be hosting an inaugural St Andrew’s Day Dinner. We are starting small but the idea is this event will involve more Skye Chefs each year and become a fixed celebration on the calendar. 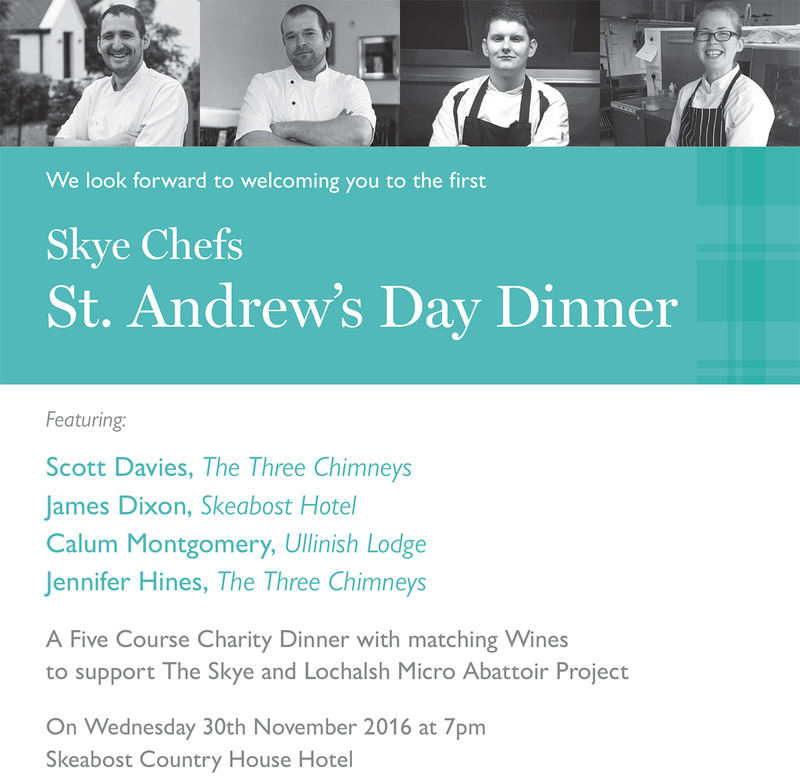 In the spirit of Saint Andrew the proceeds from the Dinner will be donated to a nominated cause and this year support is being given to The Skye and Lochalsh Micro Abattoir Project.